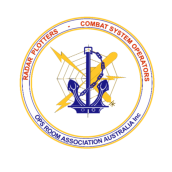 Use this form to renew your Membership to the Ops Room Association Inc. If any of your contact details have changed, please advise our Secretary by email immediately, this helps us keep you informed of Association matters. 1 Year 2 Years 3 Years 4 Years 5 Years 6 Years 7 Years 8 Years 9 Years 10 Years Other eg. No of years you want to renew? What you have deposited into our Bank Account. eg. $5.00 per year. Enter here anything you think we may need to know? Please put Surname and Initials in the comments line on your Direct Deposit with the Bank. A receipt of monies paid will be issued by email only. Once monies are received, a receipt number, will be emailed to you. If any of your contact details change, please advise our Secretary by email immediately, this helps us keep you informed of Association matters.